Check the In-Tune Newsletter Archives to see what you've been missing and catch up on what's been happening! Brought to you by Piano World The world's most popular piano site, home of the World Famous Piano Forums! The email service we use to send our newsletter (called Active Campaign) creates custom links in order to track data from our emails. The links in this newsletter will begin with pianoworld.acemlna.com and yes they are safe to click on. People often ask me how I got into the piano business, and how I came to create Piano World. This video is an excerpt from a much longer interview I did with Dan Del Fiorentino and his lovely wife Suzanne for the NAMM oral history program. Dan will let me know when the full version is ready (I have an unedited copy). The Cliff Notes version of how I got into pianos is, I grew up with music in the house, my dad played piano, my older sister still does. And then in 1964 when I had just become a teenager a new music group showed up on the scene. They've long since disbanded and a couple of members are no longer with us, but they had a big influence on me and many of my friends, and we soon started creating garage bands (well, living room band in my case, we didn't have a garage). I started visiting and hanging out at the music stores in Lynn MA (no stores in my small hometown of Nahant, MA). My favorite was Curtis Music Store, 60 Andrew Street in Lynn. They had all types of instruments, tons of sheet music, plus beautiful pianos and organs. After a while it occurred to them that I was coming in frequently after school, and that I looked like a pretty strong guy so they offered me a job, helping deliver pianos and organs after school and on Saturdays. I took it. Eventually they offered me a job inside the store, where I learned how to care for pianos, how to assist customers, selling, etc. Over time I became a store manager for them (as they expanded) and helped open a couple of their stores. Life went on, I moved away but did manage to open my own full line store for a couple of years with the help of my partner Bill Messenger. It was in Middletown, RI. Loved that store, had the best time greeting and chatting with our customers. Unfortunately it didn't work out in the long run, and I moved to Connecticut to work for another piano dealer, where I eventually became a store manager. The owner and I had a difference of opinion about how to sell (I prefer telling the truth, he preferred anything that would close a deal). I left and went into regular retail. Then I discovered the Internet (well ok, I didn't discover it, but I found out about it). As I learned how to code in HTML, Perl, Java Script, etc. I also learned how to market a web site. And I started one about pianos that grew into what you now know as Piano World. I still love everything about pianos, piano music, and the people who play them. I'm proud that Piano World has become one of the most popular and influential web sites in the world dedicated to all things piano. As of 16 April 2018 we surpassed the 90,000* registered member mark on our world famous Piano Forums! I'm very excited that we continue to attract new members from around the world. Welcome to all our new/recent members. Please remember to invite your friends to join. More about our forums later in this newsletter. (* For those who might be wondering, the 90,000 does not include anyone who has chosen to close their account or has been banned). If you are wondering, we've added 673 new members since then, not bad for our slow season. Join Our Tour of European Piano Makers! A number of people have expressed an interest in another tour of European Piano Shops similar to the one we did back in 2011. You asked, we listened. Right now we're in the "how many people really want to go?" phase. Then, if you think you might genuinely be interested please let me know. You can reply within the thread, but it would be a good idea to send me an email with Piano Tour in the subject line. The 2011 tour was 12 days, starting in Hamburg Germany, ending in Vienna, Austria. We will do it a bit differently this time. For one thing, I'd love to include Italy in the trip (Fazioli anyone? ), and I would very much like to go back to the amazing museum in Vienna that was full of planes, trains, and automobiles, plus musical instruments including very rare pianos, and even rooms full of gold objects. Please let me know if you are interested in the summer of 2019 or possibly 2020 piano tour. And feel free to let me know if you have any preferences of which places to visit. I will soon start posting a list of people who have expressed an interest, once I do you should check the list to be sure your name is on it if you responded positively either online or directly to me. Taxes and Tariffs and Business, Oh My! I've seen a couple of discussions on our forums about the tariff situation. Those that don't devolve into political discussions have been allowed to stay. I realize it's a touch subject and politics is a part of it, but we try really hard to keep politics off the piano forums, they are after all ... piano forums. That said I realize there is concern in the music business about how the changes will effect prices both for goods we sell to other countries, and goods and materials we import. I'm not qualified to comment but I am watching the trade magazines carefully and reading that in the end the so called tariff war may effect the music business negatively, and ultimately cost all of us as consumers more for instruments and accessories. If you decide to weigh in on a discussion about the tariffs please keep it civil, no finger pointing, no mud slinging. Stick to the facts and we might all learn something. "on June 22nd the Supreme Court ruled that states can now a collect sales tax on web purchases made by any consumer from that state. This overturns its previous decision, in 1992, to forbid states from collecting a sales tax on shops that didn't have a "physical presence" in that state"
Because Piano World is a (very) small family run business and the new requirement could put us out of business. I have nothing against collecting taxes for States, I already do collect them for anything we sell in Maine, and used to collect them in Connecticut too when we had a girl shipping orders for us based in CT. But there are something like 10,000 different jurisdictions that we could potentially have to calculate and file taxes for. A true logistical nightmare and beyond the scope of what we can handle! Our only hope is that the government comes to their senses (and what are the odds of that?) and creates an "Internet Tax" that Ecommerce sites can collect and submit with a minimum of paperwork. And while we're discussion Ecommerce, I know a lot of retailers complain about online sales, claiming they were stealing their business and had an unfair advantage because they didn't have to charge sales tax. I can't speak for the others, but we primarily sell items the average dealer doesn't stock, we try to maintain a fair price (and hold MAP pricing where required) and ... we have to charge for shipping which is often more than the sales tax a brick and mortar store charges. Ok, stepping off my soapbox now, thank you for listening. There didn't seem to be much new in the way of concerts, recitals, and competitions this summer. Remember, if you know of any piano concerts, competitions, or events ... let us know! 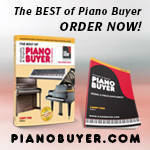 PianoSupplies.com is our online store for music lovers, it is a division of Piano World. We sell hundreds of music related items and are constantly adding new ones. hand makes each and every one of these at our Piano World headquarters in Parsonsfield Maine (where she also makes the hand-made upright piano bird houses). Have you visited our online store for music lovers? PianoSupplies.com is a division of Piano World. 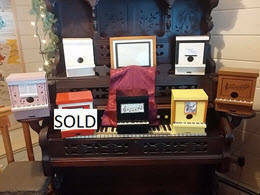 Sales in our online store help support Piano World. We also sell benches,lamps, cushions, music related party goods, tuning equipment, piano moving equipment and so much more. Piano Moving Equipment, including Grand Dolly, Digital Dolly .. I've had an old Melodian (think pump organ/reed organ) kicking around the shop for a couple of years now. It wasn't really worth restoring (too many parts missing and/or badly damaged) but I couldn't bring myself to throw it out. Kathy loves to work in the gardens, so I thought why not make it into a potting table? The Piano Forums on Piano World are not just one forum, there are in fact several, each with a specific target. The following is a brief description of our most popular forums. Piano Forum = The forum just titled Piano Forum is geared toward discussions of the instruments themselves. It is where you would go to find information about specific brands, or pianos in general. Many piano manufacturers monitor this forum even if they choose not to participate. It helps them to learn what the public is saying about their products, and their competitors products. Piano Tuner-Technicians Forum = As the name implies, this forum is primarily for professional piano tuner-technicians, however anyone can read what is being discussed. You can also post specific technical questions here, but please be polite and realize the pros that take the time to respond are giving freely of their valuable time. Digital Piano - Synths & Keyboards = This rapidly growing forum is geared toward the digital side of the piano/keyboard business. It includes digital pianos, electric pianos, electronic pianos, hybrids, and synthesizers & controllers. Discussions here can get pretty technical, but they can also be as simple as "which keyboard has the touch response you like the most?" You will also find discussions about things like midi interfaces, sound modules, speakers, microphones, sequencers, etc. Adult Beginners Forum = This is a bit of a misnomer as not all the participants are beginners (nor are they all necessarily adults). The idea behind it's creation was to give adults a place to feel comfortable talking about learning to play piano later in life. Many of the participants played some when they were younger, got away from playing, and are now coming back to the joy of making music. Of course there are also lots of "adults" who are in fact just beginning their journey. I've found over the years this is one of the more civil and helpful forums where the members truly try to help each other. They even organize online recitals and friendly competitions. Pianist Corner = Primarily aimed at the more advanced pianist, many of the participants here are at an intermediate to advanced level. No need to be intimidated though, if you aspire to become a better pianist you can learn a lot from these folks. Pianist Corner - Non Classical = This is a forum for the rest of us. Take me for instance, I play rock, standards, blues, a little jazz and a little ragtime. If you're interested, you can see/hear me "in action" here On YouTube (thank you to our friend Sam Bennett of Piano Works in Deluth GA for recording and posting this from a previous NAMM show). If you love to play piano, but classical isn't your thing, this is the forum for you. Piano Teachers Forum = Yes, it's what you think it would be. Primarily for piano teachers to discuss their trade, lesson plans, scheduling, etc. If you are not a piano teacher but have a question you'd like to ask someone who is, please be polite and be patient. If you are new to teaching piano, you may find a lot of good information here, and helpful people. Other Forums = There are a number of other forums on Piano World, please take some time to explore them, you may just find something you really enjoy, and learn something along the way. Some of our other forums include = Events-Recitals-Competitions, Composer's Lounge, Parties-Tours-Cruises, Photo Gallery, Who's Who, Member Recordings, Just for the Fun of it, and still more. 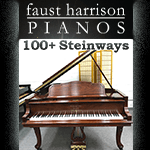 Visit the Piano Forums Today! Active Topics - Have You Checked? Did you know you can easily view a list of the current active topics in the forums? You can view active topics from the last 24 hours, the last 48 hours, or the last 7 days. You can find the Active Topics link at the top of the page, or just use the link I provided above. When you get there, you can always change the time frame to one of the other choices. Piano Parties! We love piano parties! If you are planning to hold one, please let us know. Piano parties are a great way to share your love of playing (and listening) and an opportunity to get non-players or those who haven't played in years interested. If you find yourself in the area of southwest Maine let me know, we love to host piano parties whether it's for two people or forty two. 2017 had not one but two European parties, one was in Bulgaria, the other in Spain. Here are some Reports & Pictures from the one in Spain. We've also hosted a tour of European Piano Makers (2011), a Piano Cruise , a Piano Crawl (NY), and several tours of the Mason & Hamlin factory in Haverhill MA and the Steinway factory in NY. We will be hosting another tour of Mason & Hamlin in the fall, contact me if you're interested. Same goes for Steinway in NY. Not sure what a piano party is? Also, see this Collection of Piano Parties and Tours compiled by one of our moderators (thank you Casinitaly). 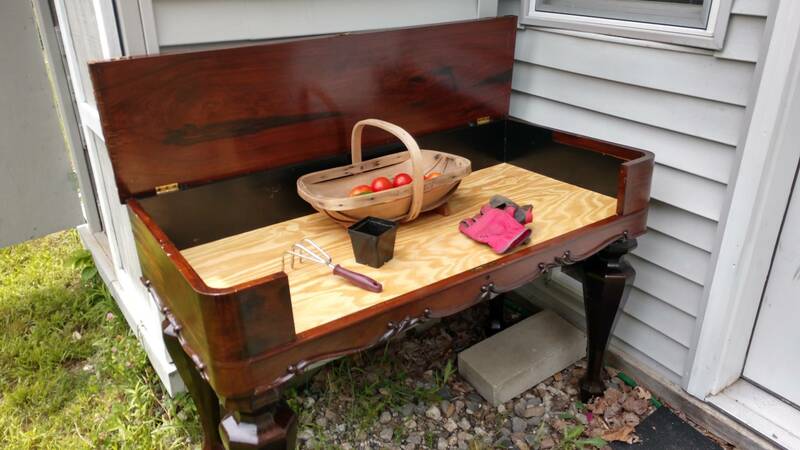 PLEASE - Visit this forum and congratulate these folks on their New Piano! We now have a special sub-forum under the Piano Forum specifically as a place for posts about members getting a new (to them) piano. I love reading the threads posted by members who have finally purchased their piano. Seeing the pictures and hearing the stories reminds me of one of the most important reasons we are here, to help each other. And if you've found Piano World and/or the Forums to be helpful, we'd love to know that too. Unfortunately these posts get buried quickly as new threads get created. 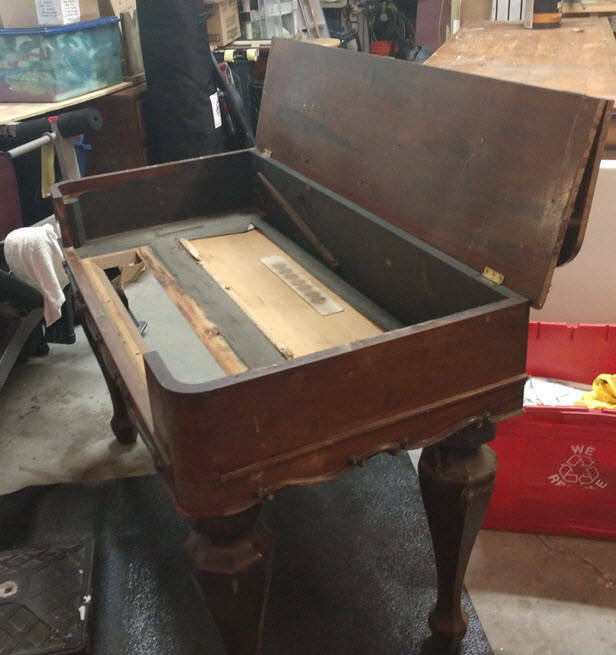 If you recently got a piano, or you know of a thread where someone is talking about getting their new piano, please let me know. I'd love to move the threads to this one central place for all to share in the joy of owning and playing a piano. The New Piano Owners forum lives here , right under the primary Piano Forum. No, not that Jimmy Fund. This one is for a young man I first met when he was a baby. 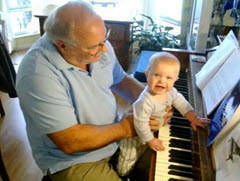 This picture is from a short video his dad took of him sitting in my lap while I introduce him to the piano. He took to it immediately, with big smiles, bouncing his body in time to the music. Jimmy's mom loved music too, she played guitar and sang. Unfortunately she passed away when he was still very young. But he never lost his love of the piano and of music. He and his dad now live on the West coast up in Salem Oregon, there is a piano for Jimmy at his adopted Gramma's in Wenatchee, Washington. This is where the fund raiser comes in. Jimmy's dad John started a GoFundMe hoping to raise the money they need to bring Jimmy's piano home to him. The details are here: Help Bring Jimmy's Piano Home If you can help in any way, please do! What's Happening on the Piano Forums? You can also choose other options like past 24 or 48 hours, active posts, unanswered posts. Check it out. Have you visited the member recordings forums? This thread has been running for ten years now! Every once in a while someone discovers it and adds pictures of their own Piano/Music room. If you haven't posted yours yet, please feel free to add them. We don't care if you only have a keyboard sitting on a table or two concert grands in an elaborate music room, we just love seeing people's set up and knowing they are enjoying making music. If you would like to add your pictures to this thread PLEASE be sure to upload your pictures to our servers (see Posting Pictures on the Piano Forums below). Otherwise they may just disappear some day, as you will see in some of the posts in this thread. Thank You - Thank You - Thank You! A big thank you to all the other wonderful people who have made a donation and/or become a subscribing member of our forums. And why is this important? Please see this post Piano World Is Not Really Free! if you are professional in the piano industry, (Piano Manufacturer, Dealer, Tuner, Restoration Shop, etc.) 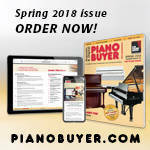 you should be advertising on the world's most popular piano site, Piano World. If you know someone in the southwest Maine or southeast New Hampshire area, tell them you know a really good piano tuner (me). 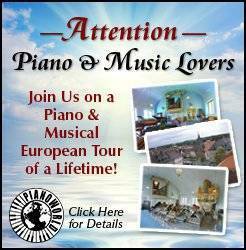 Place Your Ad on Piano World! 90,000+ Forums Members, Over 2.7 Million Posts, and always growing!